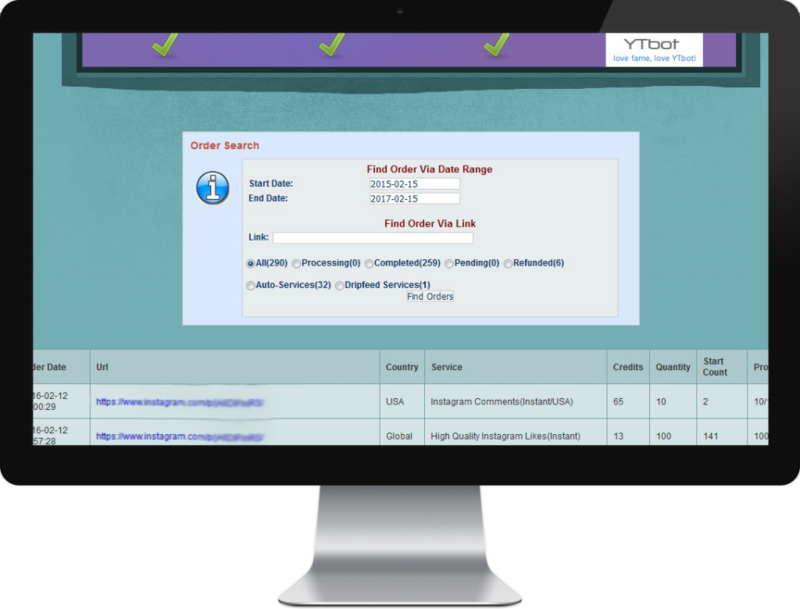 YTbot is used by many individuals and companies looking to boost their online presence via social media. Their services accommodate all the main social media platforms. We developed an extensive API for YTbot that covered all their requirements. 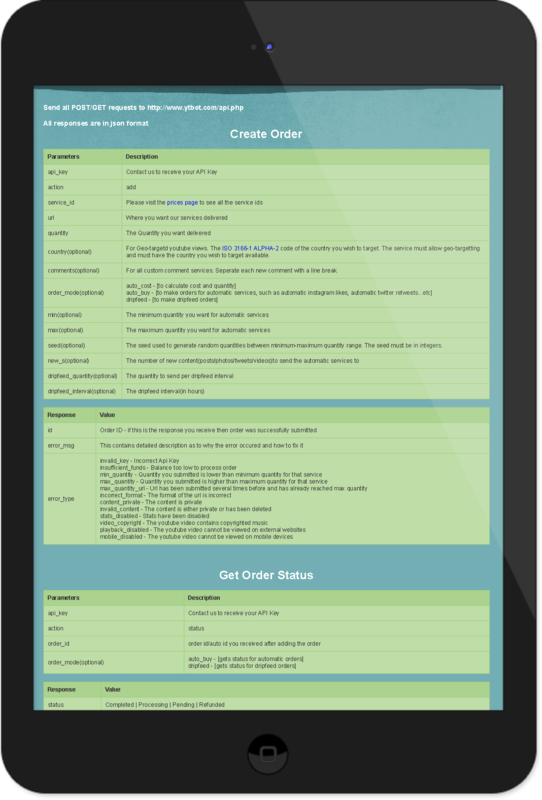 The API could be used to place orders, delete orders and track orders.